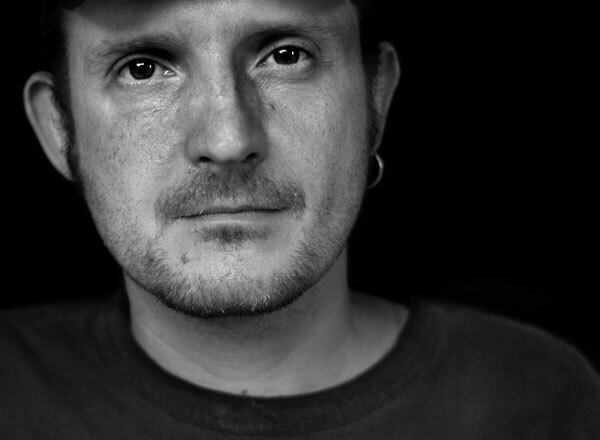 The musical career of Thomm Jutz began in Buehl but his path led him to the Musikhochschule in Stuttgart, and later throughout Europe as guitarist and producer of numerous bands. In 2003 he moved to Nashville, Tennessee, where he still successfully works as guitarist, producer and songwriter. He produced Volumes 1 & 2 of “The 1861 Project”, a collection of new songs about the American Civil War. Artists like Marty Stuart, John Anderson, Jerry Douglas, Maura O’Connell, Connie Smith, Chris Jones, Sierra Hull and many more are featured on these records. Jutz cowrote all the songs on these albums. “The 1861 Project” has received praise from historians, critics, music lovers and Civil War enthusiasts alike. Jutz, who cowrote all the songs on these albums, has received praise from historians, critics, music lovers and Civil War enthusiasts alike. Multi-instrumentalist Milan Miller comes from Waynesville, North Carolina, and is now one of the most prolific songwriters in American bluegrass. With career successes ranging from Song of the Year nominations from the IBMA 2012 and 2013, a feature in Guitar Player magazine, and a 2012 Multimedia Award from the North Carolina Society of Historians, it’s clear that Miller’s songs resonate far beyond the city limits and the packaged stereotypes of his adopted hometown. His songs are, among others, picked up by bands like Balsam Range, 3rd Tyme Out, and Junior Sisk & Ramblers Choice. To date, five of his songs reached the top of bluegrass charts. With light speed picking and his trusty tenor voice, Miller is a first call sideman and collaborator. Thomm Jutz and Milan Miller have built a close friendship and love for bluegrass music. For the first time, at the International Bühler Bluegrass Festival 2016 they will perform as a duo. The five musicians coming from Italy, with their "retro Bluegrass" lead back to the wild, rough and energetic sound of the 50s. Ruben Minuto and Matteo Ringressi, seasoned musicians in the blue grass and roots music scene worldwide, team up with a crew of the finest old-school musicians in Italy to bring back a sound that's often overlooked and forgotten nowadays: the raw, powerful and genuine sound of the early years of blue grass music. The band draws its repertoire and sound from some of the more obscure artists and recordings of the early-to-mid 50s, with a predilection for what is known as "Baltimore blue grass"... Just think a 1954 Starday Custom blue grass single and you'll get a pretty faithful idea of what the Truffle Valley Boys sound like! For the first time, they will be among the guests in Buehl. 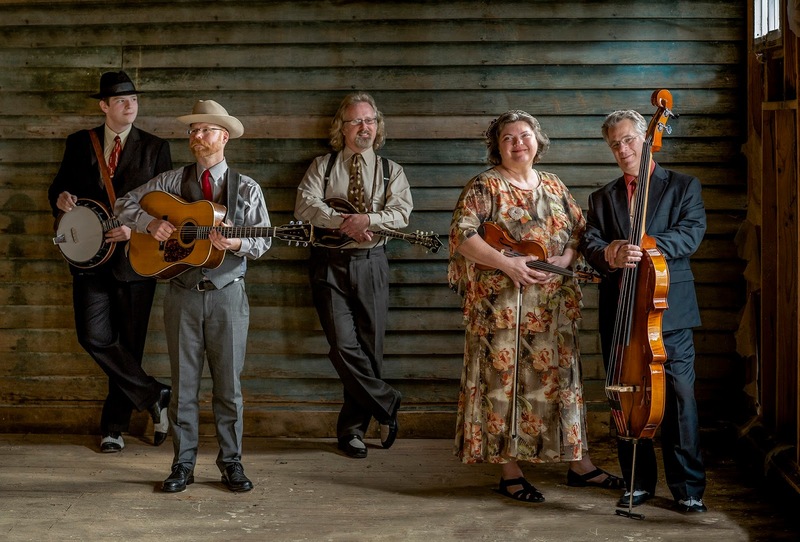 Monroe Crossing dazzles audiences with an electrifying blend of classic bluegrass, bluegrass gospel, and heartfelt originals. Their superb musicianship and on-stage rapport have entertained audiences across the United States, Canada and Europe. Among their many honors, Monroe Crossing was awarded "Bluegrass Album of the Year" by the Minnesota Music Academy in 2003. In 2007, they were inducted into the Minnesota Music Hall of Fame. 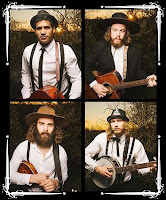 They have twice been selected to showcase at the annual “World of Bluegrass” convention hosted by the International Bluegrass Music Association (IBMA) and they have appeared twice at Carnegie Hall in New York City. In 2016, Monroe Crossing will have the honour of being the first Minnesota bluegrass band to ever perform in South Korea. 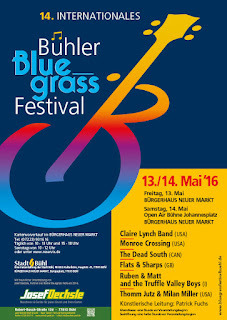 After the brilliant performance at the International Bühler Bluegrass Festival 2013, Monroe Crossing will be again in Buehl by popular demand for the next edition of the Festival. Hailing from Cornwall, in the South West of England, Flats and Sharps blur the lines between Bluegrass, Folk, Country & Pop, gaining recognition for performing their own highly original songs as well as their renditions of Bluegrass classics. 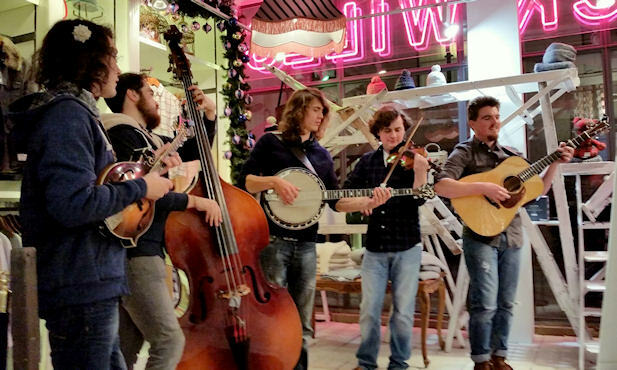 Performing with classic Bluegrass instrumentation (fiddle, banjo, mandolin, guitar, bass) these five incredible young musicians honed their skills in 350 live performances over nearly five years charming and wowing audiences along the way. Their five track 'Always There' EP, released in June 2015, drew critical acclaim with R2 (Rock 'n' Reel) Magazine saying that they were "destined for great things" and 'Boat' and 'It's OK My Love' both picking up specialist and daytime UK radio play with the videos for these songs gaining traction on YouTube. They recorded a new album in summer 2015 which will be released in early 2016. 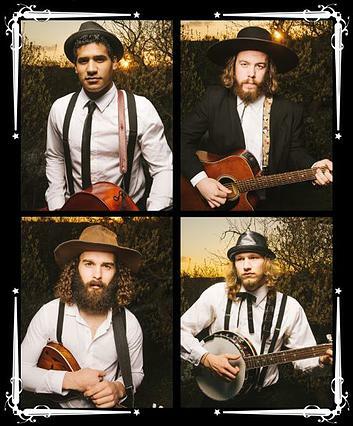 The Dead South is a four-piece acoustic ensemble based in Regina, Saskatchewan. With Nate Hilts' gritty vocals and aggressive guitar strumming, Scott Pringle's soaring harmonies and mandolin chops, Colton Crawford's blazing banjo licks and steady kick drum, and Danny Kenyon's prominent cello melodies, The Dead South blends elements of folk, bluegrass, classical, and rock which results in a unique, modern, and authentic blend of boot-stompin' acoustic music. With several club tours through Germany and celebrated festival appearances (including Reeperbahn Festival 2014, Orange Blossom Festival 2015), the four Canadians have already gained a solid fan base.They released an EP in June 2013 titled The Ocean Went Mad and We Were to Blame, and following the success of their debut release, returned to the studio and recorded their first full-length album, titled Good Company, which was released in April 2014. For spring 2016, the band announced a new album. ﻿﻿Long recognized and praised as a creative force in acoustic music, Claire Lynch is a pioneer who continually pushes the boundaries of the bluegrass genre. She was the 2013 Female Vocalist of the Year for the International Bluegrass Music Association (IBMA) and a 2012 recipient of the United States Artists Walker Fellowship. Her career has been decorated with many other accolades including two GRAMMY nominations and three International Bluegrass Music Association Female Vocalist awards in 2010 and 1997. Recently, at the 2014 IBMA Awards, she received two trophies: "Song of the Year" for Dear Sister, a co-write with Louisa Branscomb and title cut of her latest Compass Records release; and "Recorded Event of the Year" for a guest vocal appearance with Special Consensus on Country Boy; A Bluegrass Tribute to John Denver (Wild Montana Skies). The current Claire Lynch Band is a powerful juggernaut, a quartet that has the innate ability to perfectly interpret the beauty, subtlety, and genre-defying sophistication of Claire’s music. The Claire Lynch Band features like-minded musicians blending tradition and innovation - two-time IBMA-winning bassist-clawhammer banjo player-dancer-percussionist Mark Schatz, soulful mandolinist-guitarist Jarrod Walker, and young string wizard Bryan McDowell, who at 18, won an unprecedented triple win at the Winfield, Kansas National Flatpicking Championship. 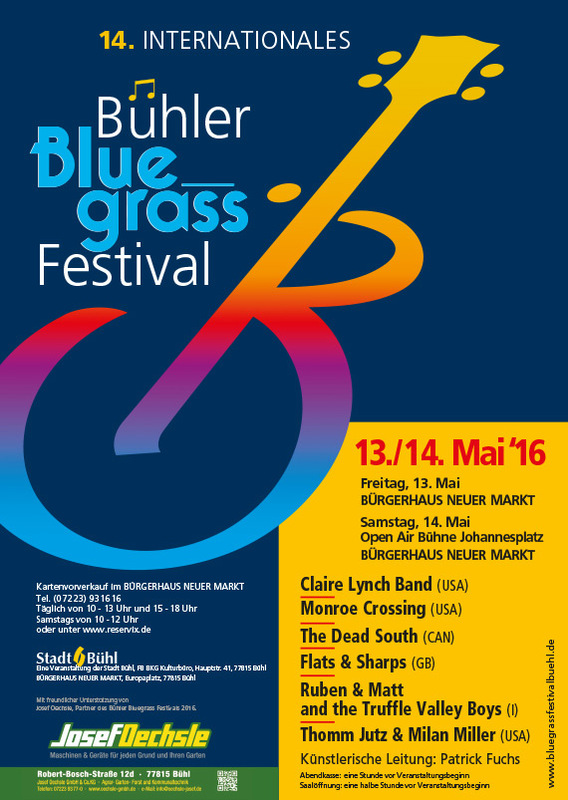 What's new at Buehl Bluegrass Festival 2016? Songwriting and flatpicking guitar workshop at the community centre with Milan Miller and Thomm Jutz on Saturday morning, May 14. By the way, if you are interested to get more information, call: 0 72 23-935406.